Redstone update will allow Windows 10 users to send work in progress from mobile to desktop and vice versa? Settings that show up on the latest builds of the Windows 10 Redstone update portend good times ahead for Windows 10 users. A toggle switch can turn on a feature that will allow your Windows 10 Mobile handset to open the same apps and share experiences on your Bluetooth paired Windows 10 PC. The bottom line is that you can start work on your phone and finish it on your PC. Or vice versa. For example, you can start an email using your handset while out and about. And if you don't have time to finish it, you can do so when you get home by using your Windows 10 PC. Or you can use your home PC to find an address using Bing Maps, and navigate to it while in your car by using your Windows 10 Mobile powered handset. And tasks that you start but don't finish won't be gone from your memory thanks to Cortana. The virtual voice-activated personal assistant will remind you if you have a work-in-progress that was started on your phone and which can be completed on your PC. This new feature is part of Project Rome, introduced last month by Microsoft at its Build developer conference. MS is aiming for the market they know best: Professionals. Nothing wrong with that. I just hope that if W10 mobile shows signs of life for the Enterprise sector, the development for W10 will spur on the one area that has killed all things WP- App development and support. It could take a couple years, but I like the gamble. Or likely they're behaving like what blackberry does. Is this the same as Continuity Handoff on iOS? Or am I missing something? Not even close....... All other OS pale in what the surface /windows 10 will offer as a complete unified OS for phone and desktop. Just think of what is happening with ios vs the surface tablet today in the tablet arena. Read the article first. Then comeback and read my comment. I'm not talking about windoes 10, and I'm not talking about surface device in general. I'm talking about what this article is about - and it is extreemly similar to what handoff does! Frankly, that is the first thing that came to mind after reading the headline and I was expecting to at least see a mention of Mac OS X continuity in the article. I've never seen an iPhonearena article forget to mention a similar apple product when talking about a competitor's product, only seen it multiple times vise versa. Only difference is, like everything Windows vs Mac OS X, this'll be more advanced, with Cortana reminding you on both the SmartPhone and the WIndows PC to resume it, and possibly compatibility with Android devices instead of just Windows devices. So when Apple improves a feature - bad Apple!!!! When windows improves a feature introduced by Apple - good!! This is brilliant! I'm really looking forward to see this. Microsoft Windows smart phones are not DEAD! in the last 3 years Millions of people have bought Windows smart phones and are Glad to hear that Microsoft is adding new features to Windows 10 mobile smart phones like the one this article describes. 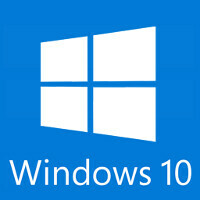 Microsoft it appears is going to make Windows 10 smart phone 1= excellent Business class smart phones. 2= make Windows 10 smart phones the best smart phone to work with it's growing number of Computer devices that run it's Full Windows 10 Desktop/ Server / PC Tablet OS that are 270 million being used and more coming. 3= Microsoft will make some of their Windows smart phones into smart phones / Pocket PC hybrids through their "Continuum" feature and MS Universal apps. no doubt the feature mentioned in this article indicates that is true. I worry that a lot of USA IT pros at Microsoft Seattle Redmond area and Apple employees and California silicon Valley folks could DIE from a 9 on the Richter scale Cascade seduction zone earth quake that could also trigger the San Andreas fault line to go off also. MOST USA Geologists says it's "OVERDUE" Microsoft and Apple should immediately open up a secondary headquarters at least 120 miles from the Pacific ocean and in a area far from any Earth quake faults or Volcanoes such as the yellow stone SUPER Volcano which is waking up.